They are called “healthy” because cycling is healthy. Lots of gain with no pain. Healthy Rides are fun, easy-paced (ie slow). They are welcoming and educational. You make friends (or not if you don’t want to), learn about your environment, and get fitter. Off-road, back-streets, safe and friendly. The rides are booming but there is still space for you and your family if you have one. The average turn-out in 2017 was 18.9 that’s a record and 15% up on last year. 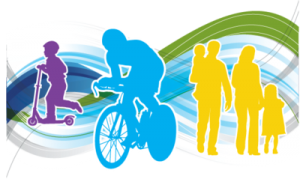 All the rides are advertised individually on the special web site (www.healthyrider.weebly.com) with information on cycling and health. They are also posted on the LCC events pages, the East Dulwich Forum, Lets Ride,and SC Events Calendar). Bruce led about half the rides with some brilliant support from six other ride leaders, like Harry who researched popular rides on Charlie Chaplin, Southwark and Lambeth prisons, and Brixton murals. All this success doesn’t mean there isn’t room for you. There is. It’s all free, everyone is welcome, no need to book, just turn up. 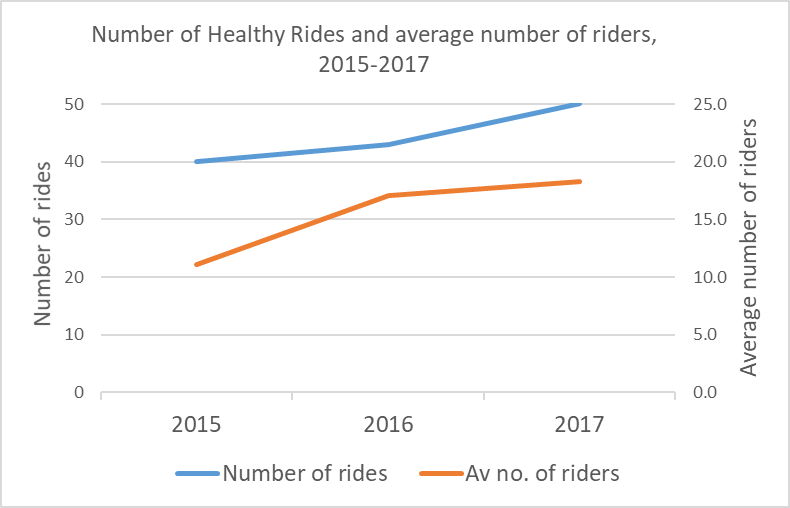 If you have not tried a Healthy Ride, then be sure to do so in 2018. If you are already a rider, then we look forward to riding with you again in the New Year. 3.5+ plus rides start at 9.30 every 3rd and, 5th Saturday. Starting points vary.